Hey lovely ladies! I had a really sweet gift from my friend! How sweet is this!! I love bling, but not tacky, and with rings the bigger the better! So i was really pleased with my gift! 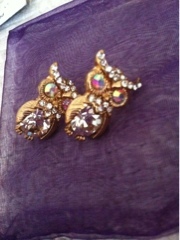 A gorgeous sparkly owl ring and earrings!! How cute! 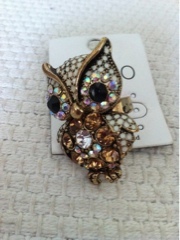 Ring is from republic the miso range which I rate for price and quality! Love it!